Actor David Bradley rouses Stratford Town Hall guests to launch Shakespeare’s Celebrations! 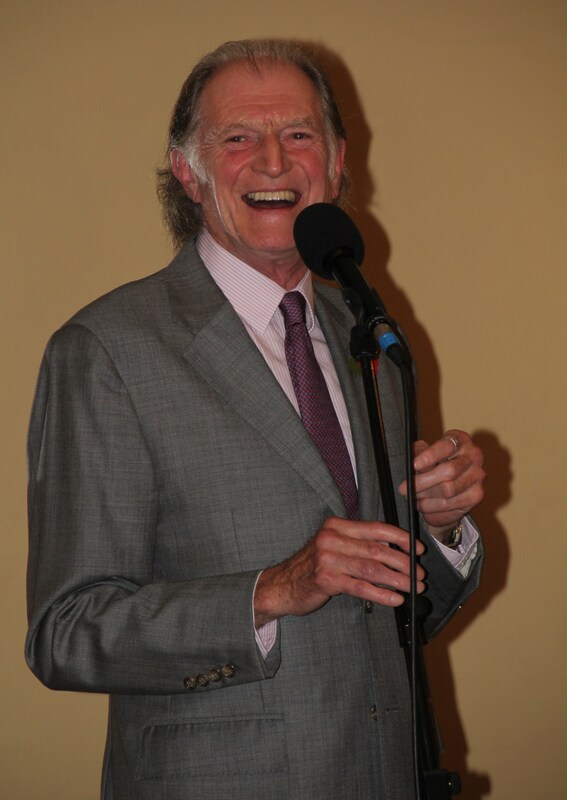 Actor, David Bradley, gave a rousing speech at a Stratford-upon-Avon Town Hall reception at last week’s Friends of Shakespeare’s Celebrations Launch Reception (30 October), when he urged guests to consider the importance of William Shakespeare in their lives. The distinguished, BAFTA winning actor, who is popularly known for his role as Argus Filch in the Harry Potter series of films, spoke to a packed Town hall of guests from across the Stratford-on-Avon District’s community, business and cultural communities. The high profile event launched The Friends of Shakespeare’s Celebrations, a recently formed initiative, established by Stratford-upon-Avon Town Council and Stratford-on-Avon District Council, co-hosting the event, to ensure the future of Stratford’s Shakespeare’s Birthday Celebrations. Mr Bradley gave an inspiring and amusing account of how he was first introduced to Shakespeare, through a youth drama group and the way in which the poet, “not of an age, but for all time,”* has played such a significant role in his own life and career. His speech led guests to consider the importance of Shakespeare to all Stratfordians and the need to sustain and develop Shakespeare’s Birthday Celebrations, a globally significant keystone in the town’s heritage. The purpose of the event was to promote newly created opportunities for local people, businesses and organisations to get involved and be appropriately recognised for their support. Businesses, Community and Educational organisations can display their logo or message on promotional flags and pedestrian rail banners, which will be lining Stratford’s streets during the traditional Shakespeare’s Birthday Parade. Businesses are also being invited to support particular elements as Corporate Partners, including the Shakespeare’s Giant Birthday Cake, which played such a prominent part in this year’s procession. Meanwhile, loyal residents and visitors are being invited to become a Friend of Shakespeare’s Celebrations, by contributing financially or volunteering to be Stewards, Marshals or Playmakers, who were introduced this year to welcome and give information to people attending the festival. The informative evening was set against a programme of music, from the distinguished and locally based ensemble, English Serenata, directed by flautist, Gabrielle Byam-Grounds and Stratford-upon-Avon School students who entertained guests with a selection of guitar-accompanied duets. Meanwhile, organisers are counting down the days, from the launch event to next year’s Shakespeare’s Birthday Celebrations Parade on 25 April, 2015. Shakespeare’s Celebrations is a recent initiative, between Stratford-upon-Avon Town Council and Stratford-on-Avon District Council. It is dedicated to leading the world in celebrating William Shakespeare’s life, through developing the traditional and globally recognised Shakespeare’s Birthday Celebrations in his home town of Stratford-upon-Avon. 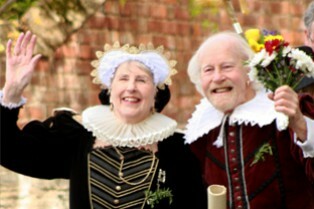 Shakespeare’s Celebrations and its partners are committed to ensuring that the Celebrations will continue to take place from next year and beyond, so that Stratford’s unique heritage will benefit the town and district’s communities and economy for many years to come. If this is to happen, it is essential that the festival becomes sustainable and independent of public subsidy. The traditional Birthday Celebrations, which date back to 1824, are always held in Stratford over the weekend closest to the Bard’s birthday on 23 April (also believed to be the date of his death). The Birthday Parade is a spectacle of worldwide and local dignitaries, community groups and schools, alongside prominent figures and well-known faces from the worlds of theatre, academia and culture. Ceremonies include the unfurling of more than a hundred flags in Stratford’s town centre, followed by a procession into Holy Trinity Church to see Shakespeare’s grave, adorned with flowers.